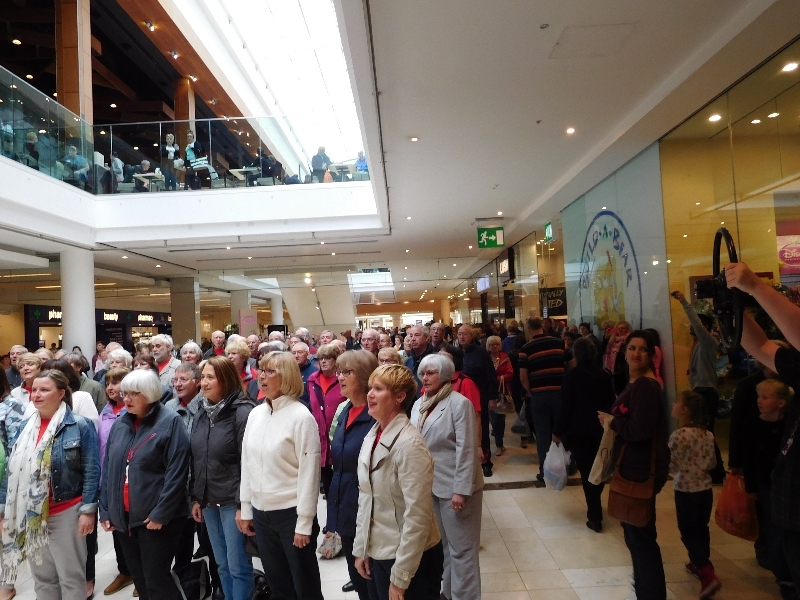 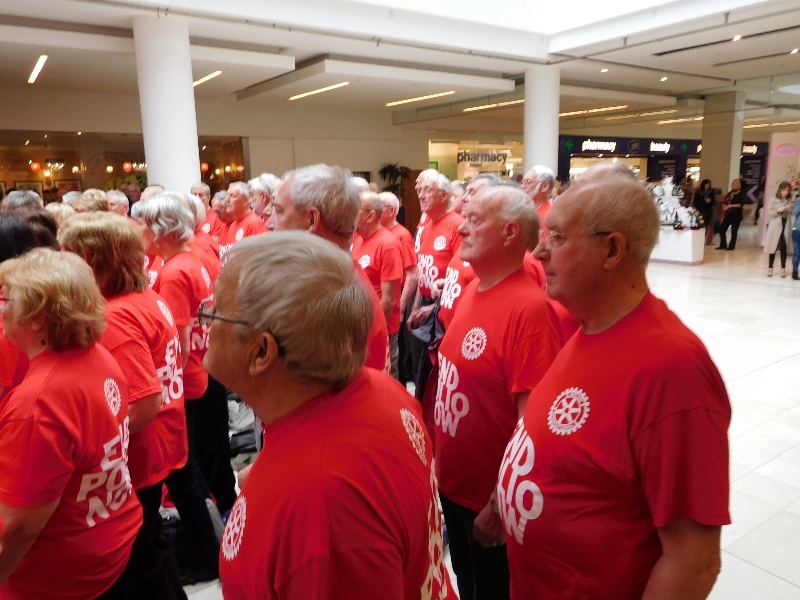 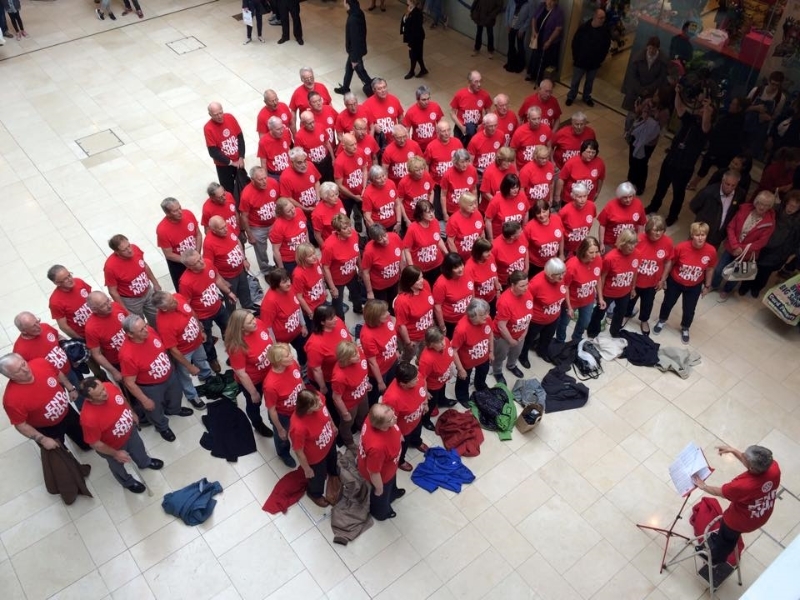 Saturday 9 May 2015 saw ECMVC take part in another first for the choir by joining the Sonara Singers in a FlashMob, at the Derby intu (formerly Westfield) shopping centre in Derby. 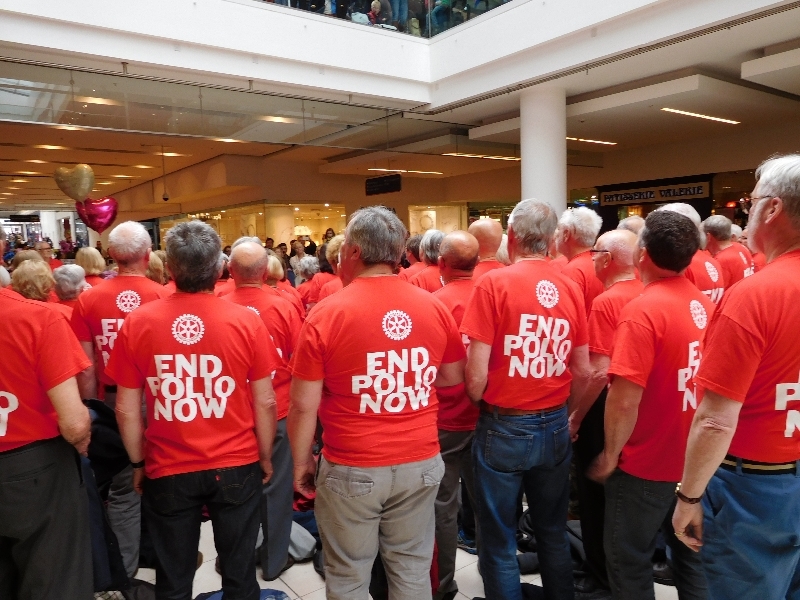 The choirs had been asked to help Rotary International raise awareness and funds for their final drive to remove Polio from Planet Earth. 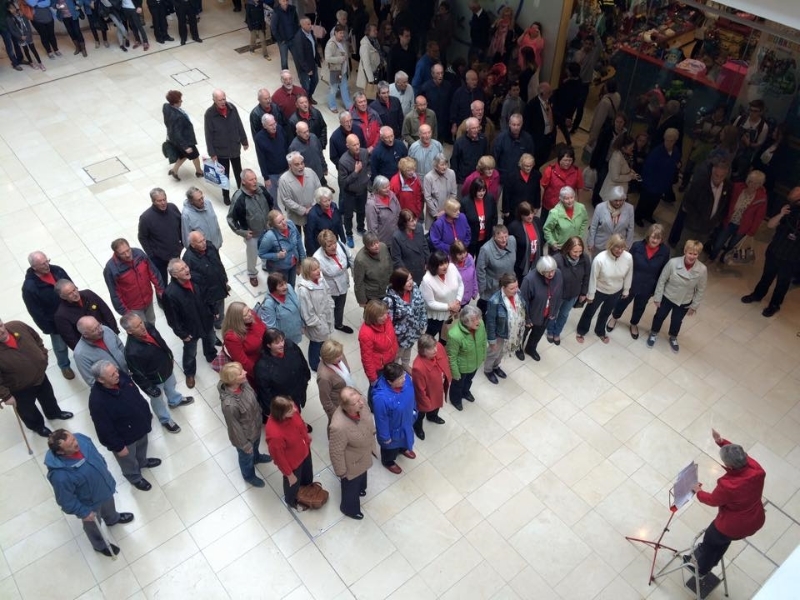 As always, the musical driving force came from Liz Moulder and Teresa Mills. 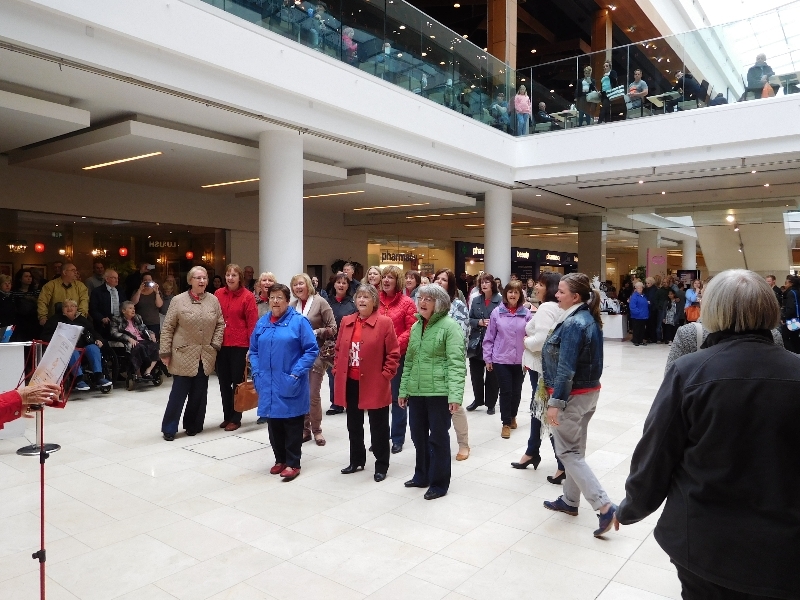 The idea of a flashmob is for performers to appear as if from nowhere in front of large crowds of unsuspecting shoppers. 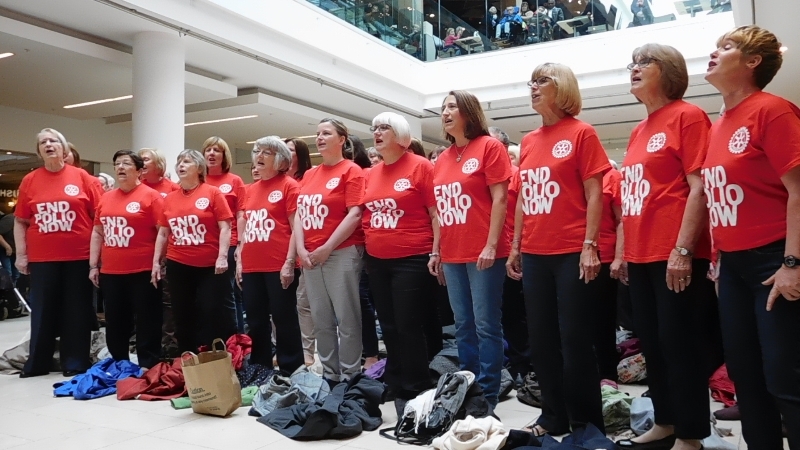 The whole event was filmed by friends from Derby University and the resulting video will be available on YouTube and all other social media. 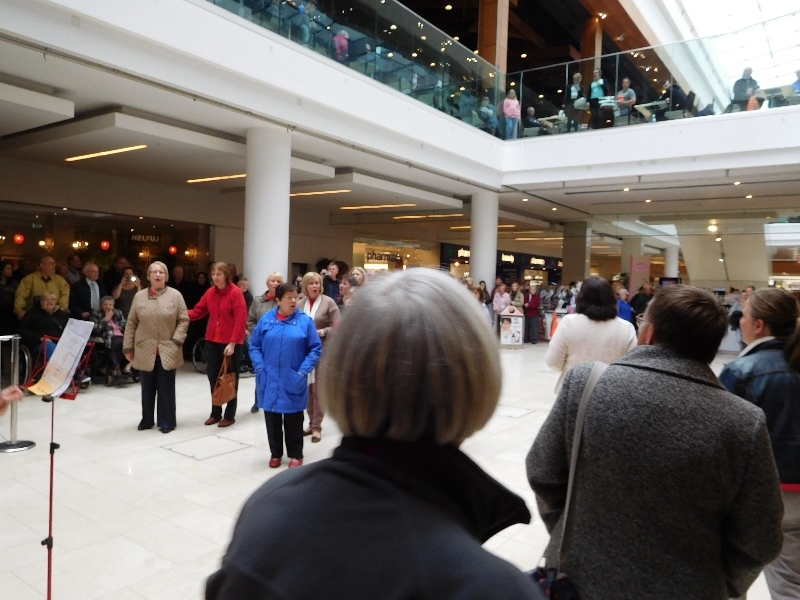 In the meantime, please enjoy looking at these early photographs.